KELADA, Kelada System, Duluur Sector, the Colonies (Grid M-13, 90.180.1) Originally settled by Humbarine (#ref 38023091-2128199-188190) around 16,000 BBY. Primary ownership passed through a number of commerical interests, Arakyd Industries (#ref 1283933-188291) being the latest primary shareholder. Other planetary shareholders include Industrial Automation, and Tendrando Arms. Kelada is considered by galactic standards a factory world, with much enivronmental damage and eons of industrial by-products creating wasteland terrain. Originally Humbarine-stock Human. Now predominately human, with a large array of species and cultures represented on-planet. Most of the inhabitants work directly or indirectly for primary shareholding companies, or one of the many secondary or tertiary businesses in the planet's main population centres. Kelada hosts a highly advanced galactic civilization and planetary infrastructure. 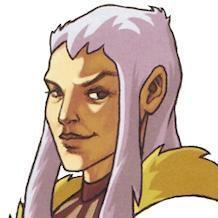 The planet Kelada is a commerically-owned planet, and does not hold representation in any galactic government. Kelada's political affairs are represented by the Council of Shareholders, represenatives of each of the companies on-planet. Economy: Kelada is known as a droid foundry world, and most of it's economy revolves around the "Big Three" droid producers on-planet. Set Harth looked down at the city down below far, watching and listening. Kelada City's kilometres-wide biosphere dome stretched overhead, to almost near invisibility. Outside, drifts of airborne pollutants blocked both the night skies and the lights from the nearby starport, causing the transparisteel dome to be a total black. Within the dome was a different story. The lights of the high office and residential towers glared down on the lesser buildings, the factories and slum fringes along the dome walls. Within the factories, the glow of the foundries competed with the working lights of the nightshift, and in the slums and entertainment district, a frenzied multitude of advertisements, storefronts and streetlamps. Harth saw nearly everything from his perch on one of the highest office towers in the Dome, Tendrando's Kelada Complex. Seeing and hearing no response below or above, Harth turned away from the view and entered the air shaft, cut open with his lightsaber only moments before. Once safely inside, he accessed his datapad and looked over the schematics for the building. Moving to a vertical shaft, he planted an anchor piton, played out the fibre-wire cord a few dozen yards, and then let himself down. Harth peered down from the vent on to the hallway. He opened the vent, careful not to let it drop to the floor, then prepared. The cloak's hood was draped foward over his head, and with a quiet [u]flick-hmmm[/i], his precious and rare holo-necklace was activated. His features transformed into a swarthy, round-faced Human with thick eyebrows and dark eyes. He dropped from the vent into a crouch, then after a moment's pause, he moved. First to the outer doors, disabled with a quick splice into the doorlock. Then, to the inner office doors. Harth plugged his datapad into the door's socket, working the lock. Frustrated, Harth blew a long breath of air out, and considered his options. Pulling his blaster, he fired first at the noticeable security cameras, then shot the door lock. Moving quickly against the blaring of the security klaxons, he moved into the inner office, and behind the desk, a closed vertical chest, doors locked. Harth shot any door cameras, then pulled out his lightsaber. With a light quick swish, the door was open, the lightsaber safely tucked away, and Harth amongs the various treasures and memorabilia. There. Harth snatched it, then turned and was gone. Beyond the beautiful spires of the biosphere, the corporate towers and industrial skyline of Kelada lay the planetary Starport. As high as the biosphere of Kelada City stood fell the depth of the giant pit that formed the Starport. As Slen'da's ship descending through the atmosphere, the first sign for the Starport was the the circle of traffic control lights defining the perimeter of the pit, puncuated by the Tower. Positioned at the very the rim of the pit, and then the slender Control Tower, which extended slightly over the pit to afford maximum oversight over all activity. Extending from along the pit's curved walls, caverns, tunnel mouths and flat floor lay individual docking bays, cranes, shipyards and garages. On the bottom floor of the starport were giant gantries that transferred raw materials or finished product to the freighters and cargo ships. Passenger and cargo trains arrived or departed for Kelada City through a large tunnel located at the base of the Starport wall closest the City. In the hazy distance was the biosphere protecting Kelada City. Through the organized confusion of departing and arriving ships, trains and the general activity of the Starport, Slen'da's Pathfinder slipped through the magnetic shields that kept the poisonous atmosphere from the bays, and was directed to a bay, a shallow cavern cut into the pit's wall. "The Baron's Own", the droid controller called it. He was waved down by the docking crew, and beyond them, stood the Baron himself. The Socorran stood there with light blue blouse, offset dashing red cape that fell from his high black collar to his calves. His trousers were richy tailored, and his boots were cut in the latest high-culture fashion. On his spaulders was an the script and insignia of Tenandro Arms, both inlaid into the armour with fine metals. To his side was his personal aide, and slightly behind him a pair of security droids. 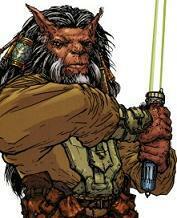 "Jedi Slen'da, welcome to Kelada." Calrissian smiled at Slen'da with his most famous and charming smile. Slen'da bowed his head. "Thank you for meeting me, Baron." Calrissian's eyes drifted over Slen'da's ship. "A Vanguaard Pathfinder. Where did you get something like that? A museum?" Slen'da missed the humour. "Yes. The Obroan Research Institute has loaned me the ship." Calrissian gave the Bothan a sardonic smile. "Indeed. Well, let us get started. Come with me." Calrissian led Slen'da and his retinue into Calrissian's personal office suite. "..as you can see, while it may not be as beautiful as other projects I've administered, such Cloud City, but we've done our part to make Kelada a great planet to live on for our employees and their families." Slen'da was impressed, although big business and corporate operations was not his field, he was raised as a Bothan and knew power when he saw it. He made an appreciative noise. "I can see that it is quite profitable. It must be quite an addition to your power base." Calrissian smiled at the Bothan culture's fixation on the accumulation of power and prestige. "Well enough of that. You didn't come here to see all of this. Let's move into my office and let me show you what brought you here." Calrissian had conducted Slen'da tour began on Calrissian's personal passenger car that took them into the City, and while not stopping or taking detours, Calrissian pointed out various features and improvements he and his company had made on Kelada. While Calrissian did so, Slen'da took the opportunity to deepen his impression of the man. Here was the Hero of the Rebellion, the adventurer of a thousand tales, clad in the foppish and soft attire of the galactic elite. His clothing and lifestyle indicated a soft and luxurious lifestyle, and Slen'da would have dismissed both Calrissian and the legend around him except for one thing; his eyes. They held much more than the arrogance and sense of entitlement one found when dealing with multi-system corporate execs. Rather, his eyes spoke of a sardonic intelligence, as if seeing through the galaxy around him and finding it amusing, and very, very exciting. Calrissian guided Slen'da left their bodyguard at the doorway leading into the office and moved toward a small alcove to the right of the massive desk. Within the alcove was a small display area, featuring each, pictures with popular galactic entertainment celebrities and awards, distinctions and accolades from across the galaxy. Each award was award or medal was held within an ornately detailed frame of fine metals, each frame seeming more grandiose and gaudy than the next. But here again was a mark of Calrissian's inner character. Surrounded by all the gaudy awards and gilded medals from obscure plants and awards, one object was set apart by it's simplicity in the award, and the simple wood frame encasing it. A small light purple ribbon held an a small, circularornately designed gold medal. The rim of the disc was lined with golden points to form starburst, with the writing on the metal was simple. He caught a glimpse of those knowing, slightly mocking eyes looking at him, and found Calrissian's real character; a true idealist, and a good and loyal friend to those who earned his friendship. Calrissian caught Slen'da's own gaze. "A small selection of the infamy from around the galaxy." He said indifferently. He continued. "Most of the damage to the decor and the security systems has been repaired, but I want you to take a look at the safe here." The lock on the safe was gutted, melted and split into half. Slen'da knelt for a better look. "The metal seems split.. but it's too small to be an explosive, and a safe like this is magnetically sealed, so this wasn't a blaster bolt either." Slen'da hazarded a guess. "A vibro-axe?" Calrissian smiled. "Close. Come to the holotank. The intruder thought he had destroyed all of the security systems, but I have a few tricks from the old days. This is tertiary holocamera; the quality is not the best, but you'll get the picture." They stood before the holotank, while the aide the aide silently padded in behind them, and moving to a secondary console, brought up the holographic recording of the intruder. The holograph faded into life. Black clothes and cloak with a hood. The hood was thrown back to reveal the features of a swarthy, round-faced Human with thick eyebrows and dark eyes. The face that could be seen anywhere and nowhere throughout the Galaxy. The intruder was standing in an alert posture just inside the office doorway, then began shooting in a wide shooting in a wide semi-circle, presumably the security systems. He knelt down and tried the safe a few times. Then standing up straight, he pulled out and ignited -a lightsaber- and slashed down. In a bright flash the safe was open, and the intruder's free hand was inside the safe. With moments, it was gone. Calrissian rewound the holograph recording to the best image of the intruder. There it sat, slightly flickering. Calrissian regarded Slen'da thoughtfully. "My security team has already searched for an image match, with no results. Do you recognize him.. as say a Force User by chance?" Slen'da shook his head. "Skywalker has already look at the image, and did not know him, so I did not think you would either. But it did not hurt to ask. So, you see who it was.. now see what was stolen." Another holograph was brought up. A necklace of an ancient design; the links were of a black metal, enriched with another material that brought red highlights to the metal. A jewel formed the headpiece, purple, diamond shaped and beautifully enticing. Slen'da leaned forward thoughtfully, his other cares momentarily forgotten as he fell into xenoarcheology. "Clearly of Sith origin... ancient Sith origin. Probably around the 12th Sith Dynasty.. perhaps the Fourth Epoch of the Sith. See those ancient runes emblazoned on each link of the necklace itself. As for the headpiece itself, it looks like a tiny Sith Holocron.. almost. An internal fire or pulsing..."
Slen'da fell silent, then straightened and turned toward Calrissian. "This necklace was an Amulet; something the ancient Sith used to amplify there powers, or a specific use. Do you know what for?" "No." Calrissian admitted. "I've had other xenoarcheologists and brokers look at it; they have no idea. I've also had a friend of ours take a look; he said there is some Force connection and perhaps a use, but he wasn't sure which kind." "Well, Mistress Tionne was right. Here is where your own quest may lie within my own." "I have some pretty good indications that this theft can be traced to the galactic black market." "The black market? Why? How?" Calrissian smiled his most famous smile. "Well, just where do you think I got an ancient amulet from? My own private dig site?" Calrissian and his Jedi guest were seated around his desk. The desk was massive, constructed of a rich wood and topped with finely polished stone. A desk cover of fine design was in front of the Socorran; Slen'da was seated opposite. The office was similarly constructed. Rich wood walls encased the office, and inlaid with fine metals and edging. Paintings and tapestries were tastefully placed along the four walls. Behind Calrissian, a bay window framed the city, the biosphere, and the hazy horizon of Kelada. "Now, I know you are familiar with a lot of things, whether it's as a Jedi or scientist, but I am going to introduce you to a world no Jedi has gone in generations, at least not openly. Anything you want, you can get, as long as you can afford it. We're talking about the ancient galactic black market. Not just pirated 3D sims on some planet, but trade routes trading illegal goods stretching thousands of lightyears." "Think about it. What can be perfectly legal -and cheap- in one system can get you executed in the next system. In our galaxy we have 3 galactic governments, each with their own set of laws, and each with hundreds of thousands of member worlds, each with their own races or populations, and each with their own sets of laws. The galaxy is full of prohibited items. Jewelry, glitterstim or other drugs, rare art and artifacts, outlawed weapons, slaves, or people trying to hide or avoid notice, banned delicacies or even basic foodstuffs to populaces who are denied them. Information or secrets are also through through the network. All that and more flows from seller to broker to transporter to buyer, from the lowest smuggler to crime boss. "All levels of society partake in it to some level, and there are buyers and sellers of black market items on every world of this galaxy. I still do have a lot of friends in low places; and while they won't admit it, so do most of the galactic elite. Each of the black market trade routes are linked together with shadowports; known only to those who need to hide. Solo, Chewbacca and myself go way back and knew most of them when we were younger, but the ports change or move. "Unlike Solo", Calrissian gave another decpriciating smile, "I'm still only semi-respectable. Don't tell Skywalker or the Solos this, but I've kept my fingers in the pool of not-so-legal ventures and occasionally made some deals and shipments among the market. Such as the purchase of this Amulet of Kalara. So, I figure someone who really wanted it traced it to me, and sent this fellow in to get it." "Well, I can't get my hands dirty as I would like these days. Tenandro Arms would suffer major financial reversal if word got out that I was making sidedeals with black marketeers, or worse, caught or arrested. Tendra would literally kill me." "Now, I've made my own inquiries with a few of my contacts and there was an infochant who was looking for Sith jewelry, and I think that was how it was traced back to me. My friends don't know the real name of who was doing the asking, just word of anonymous meetings where the Amulet and my name came up. And I can't go into some of these places, not anymore. I'm too well-known; even my old smuggling friends wouldn't talk to me anymore. And there are some who think they're still owed something from me, or simply want payback. But, I can't let something like this slide. If it gets out that I've let such theft go without.. repercussions, I'll have every two-bit gangster coming along to push me and my business ventures around. That's bad business." Calrissian paused a moment, then gazed across the desk at Slen'da. "So it comes down to this. I need someone to go into the shadows of the galaxy to track down the thief and bring him to justice. And if you run across news that will help you with your own investigation, I will try provide knowledge and research on many of the characters and people you'll find, at least the big names. I wouldn't send you into places where even I didn't know the basics. Slen'da's gazed met Calrissian's. "You offer a good trade. You will receive your jewel and retain your reputation, and I am provided access to and assistance in places where I would never be allowed into on my own?" Calrissian nodded, and looked hard at him. "In a nutshell, yes." Slen'da's fur flushed, signaling acquiescence. "Then I agree, Baron Calrissian."